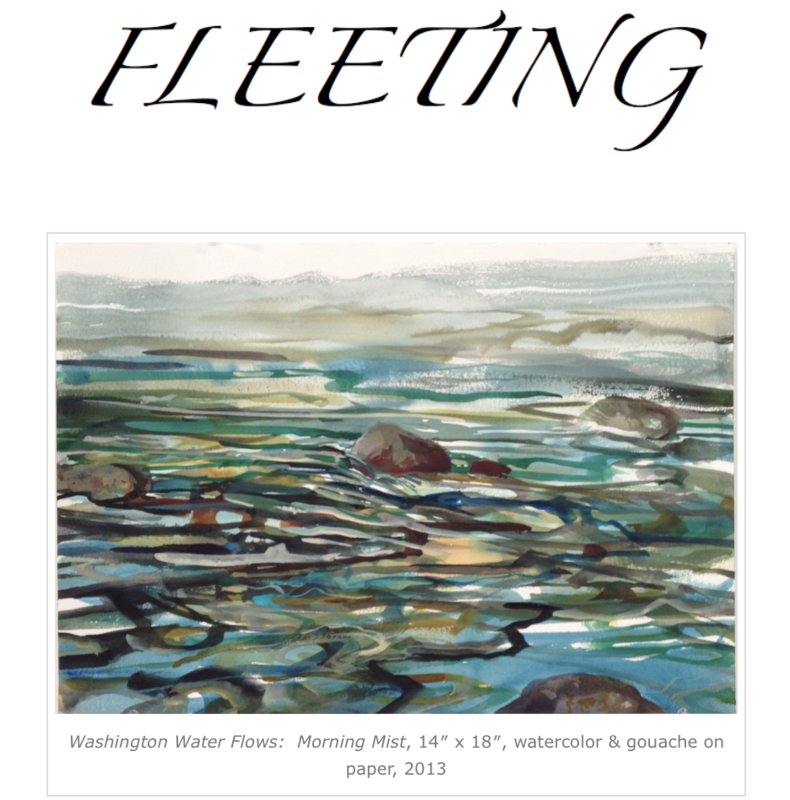 “FLEETING” is the 9th Solo Show that Lilian Garcia-Roig will have at Valley House Gallery in Dallas, Texas. The show opens Saturday, October 22 and runs through Nov 26. She will be giving a gallery talk before the opening reception on October 22 at 5:30pm. This show will consists of two main bodies of works. The first is the on-site series she did while at a fall-residency at Hambidge Center for the Arts in 2014. The other is of the watercolor and gouache paintings on paper she did during a week long trip to the banks of the Skykomish River in the foothills of the Cascades Mountains in western Washington state in 2013.